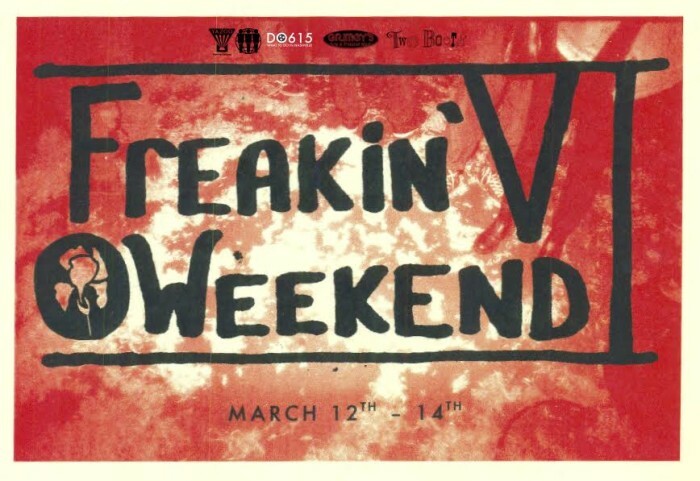 Tickets and 3-day passes for Freakin’ Weekend VI go on sale today, so we thought we’d take this time to share a few additional details with you beauties. As previously announced, those 3-day passes are a mere $40 for the first week, after which time they’ll jump to $45. The newest news is that if you get a 3-day pass in the first week, you’ll also get a free $20 gift card from our newest sponsor, Two Boots. Buy pass, get free pizza. It’s a real thing. It’s also worth noting that these elusive pizza passes will be designed by our boy Matt Sharer of Ranch Ghost fame, so maybe you’ll want to keep it for hi-art instead. Or maybe you’ll want the pizza. This is your freedom, these are your choices. Alright, let’s get to the shows! Here are the line-ups for each night…. We’ve got a great year ahead, and there’s still plenty more to announce. Posters, t-shirts, and some surprises we can’t even hint at yet. Thanks again to our sponsors for helping us bring this thing together. Now go get your tickets!